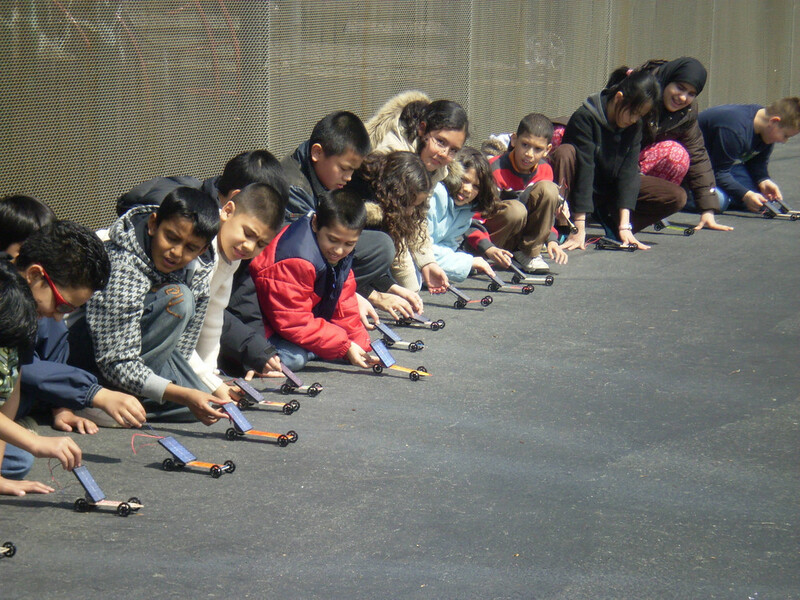 The race is on this SaturdayTomorrow, Saturday, May 14th, nearly 350 local students will take 140 solar-powered cars to the Franklin Institute for the 18th Annual Junior Solar Sprint. Participation in this competition has given these budding young engineers a change to participate in a hands-on experience that has broadened their knowledge of solar energy, math, craftsmanship and physical science. Students can win either first, second, or third place prize in three categories: Speed, Technical Merit, and Creativity. They will be judged by local artists and members of the Eastern Electric Vehicle club. The student (or group of students) that shines the most will be awarded Most Outstanding for their car. If you are not a student, you can still participate in the adult division contest. However, even if you are not racing, the public is invited to head over to Winter Street to cheer on the solar cars during the race and enjoy smoothies from Arnold’s Way Café. This annual event, coordinated by the Northeast Sustainable Energy Association (NESEA) is just one of many held across the country. Winners of this event will continue on to the regional competition held in Springfield, Massachusetts this June. *For more information on this event, contact Joe Bruno at (610) 639-1813. Rain date: Sunday, May 15th at 9 a.m.